Situated at the Pollok Country Park, the Burrell Collection is found inside an award-winning building dubbed as the 2nd greatest post-war building by Prospect magazine in 2005. The collection acquired by shipping magnate Sir William Burrell was given to the city in 1944, with several conditions upon its exhibition. A design contest for the building was made and was opened by Queen Elizabeth herself in 1983. The eclectic art collection includes several pieces of Chinese, Islamic and Gothic art, as well as stained glass collections. It is one of the greatest collections of art by a single individual in the world – with over 8000 objects on display. No visitor to Glasgow should leave without visiting the Glasgow Cathedral. Standing majestically right in the middle of the city, the Cathedral is dedicated to the patron saint of Glasgow, Saint Kentigenn or St. Mungo. It is said to be the finest building in the country from the 13th century. Established in 1993, this museum is the only public museum in the world devotedly exclusively to religion. Its aim is to promote the understanding and respect between individuals of different faiths as it explores the importance of the subject in people’s lives across the world. It is named after St. Mungo, the patron saint of Glasgow and was designed to reflect the architecture of the Bishop’s Castle. Once you’re done wandering around, you can get coffee at the museum café where it opens out to the 1st ever Zen garden in Britain. Established in 1901 and containing over 9000 objects, the Kelvingrove Art Gallery and Museum is currently ranked the #1 museum in the entire country. Housing one of Europe’s greatest art collections, it is also among the top 3 most visited free attractions in Scotland. Among its highlights are the Christ of Saint John of the Cross art piece by Salvador Dali and its extensive collection of arms and armour. Also known as “The Mackintosh Building,” this iconic architectural gem is said to be the masterpiece of the great Scottish architect Charles Rennie Mackintosh. Cited by many architecture critics as one of the finest buildings in the UK, it offers intriguing furniture designed by Mackintosh himself, ironwork and stained glass that makes it a truly unique piece of art. There are guided tours by students everyday, where you can also learn about the late architect’s life and his influence on the movement of the international Art Nouveau movement. 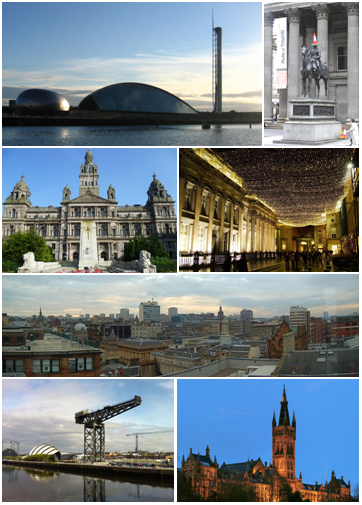 There is a lot to see and do in Glasgow and it is well worth spending a few days there. Private House Stays have a great selection of bed and breakfast accommodation in Glasgow and you can be assured of getting the best prices as you will be booking direct with the owners.